eRead Illinois gives Illinois libraries greater access to eBook materials. Libraries in the Illinois Heartland Library System (IHLS) and the RAILS (Reaching Across Illinois Library System) are eligible to participate. The El Paso District Library is a member of the RAILS (Reaching Across Illinois Library System). The Magic Wall is the bookshelf of your virtual library. This is where you can search for eBooks or audiobooks, check out the audiobooks, and start the download process. On this screen, it can be helpful to search for items that are available now by clicking on the check mark icon. If you only want to search for eBooks, click on the icon that resembles the letter 'e'. If you only want to search for audiobooks, click on the headphone icon. The books also have an icon in the upper right corner that will tell you what kind of item it is - an 'e' for eBooks or a headphone for audiobooks. The Help menus in eRead Illnois are the best source of information to guide you in using the product. Below are a few that might be helpful including our own definition list. 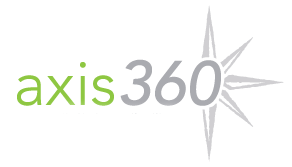 The eRead website's Axis 360 Help Page is the best place to go to learn how to use it. It has links to documents that you can browse or download for each device to learn how to set it up, check out, and navigate. A List of Sites which offer eBooks including some for free. You do not have to have a library card to use these sites!